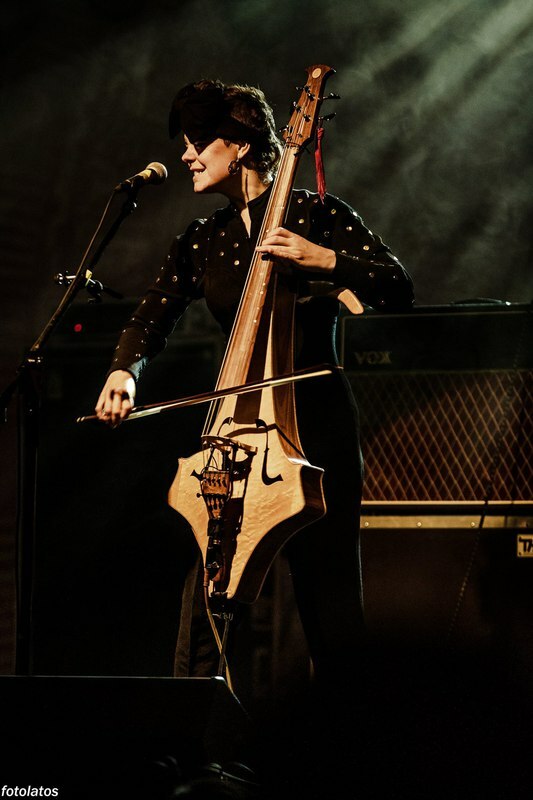 As Cellist/Vocalist, Songwriter and founding member of the acclaimed UK Progressive-Pop band Moulettes, Hannah has toured the world and steered an eclectic body of recorded work that pays homage to Classical, Experimental, Progressive Rock, Pop and Folk. Sharp songcraft, persuasive melodies, lyrical originality and an adventurous approach to the Cello. As Cellist/Vocalist, Songwriter and founding member of the acclaimed UK Progressive-Pop band Moulettes, Hannah has toured the world and steered an eclectic body of recorded work that pays homage to Classical, Experimental, Progressive Rock, Pop and Folk. Sharp songcraft, persuasive melodies, lyrical creativity and an adventurous approach to the Cello. “A highly skilled musician, she does for the cello what Joanna Newsom did for the harp” – Chris Gilliver, CityLifers.